Made a pork roast yesterday, and it was quite delicious! 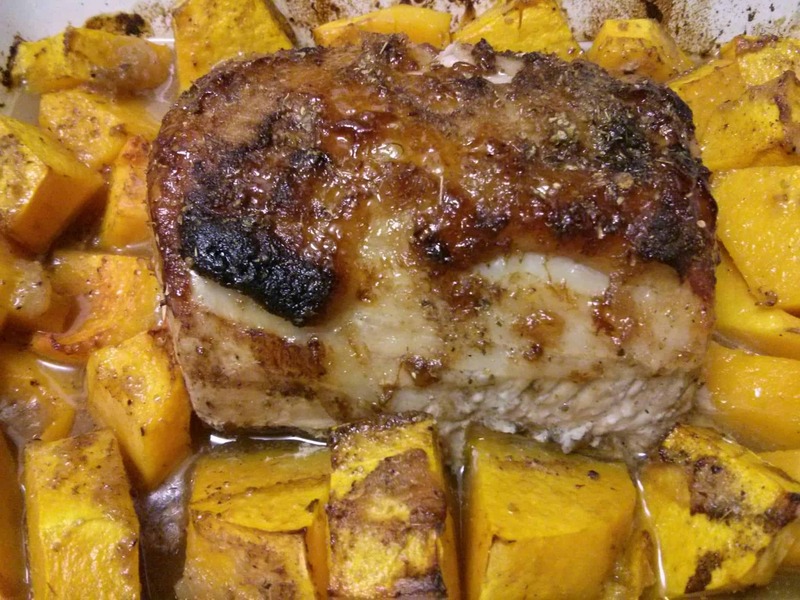 First I cut up a whole butternut squash and put it into a baking dish with the pork. I seasoned the pork with garlic powder and ginger powder, then topped the pork and squash with chutney and apple sauce. Then I seasoned the whole dish with salt and pepper and then drizzled balsamic vinegar quite liberally over it all. It baked for about an hour, and turned out very well, if I may say so.